After a couple of weeks, you return to work and the children return to school. 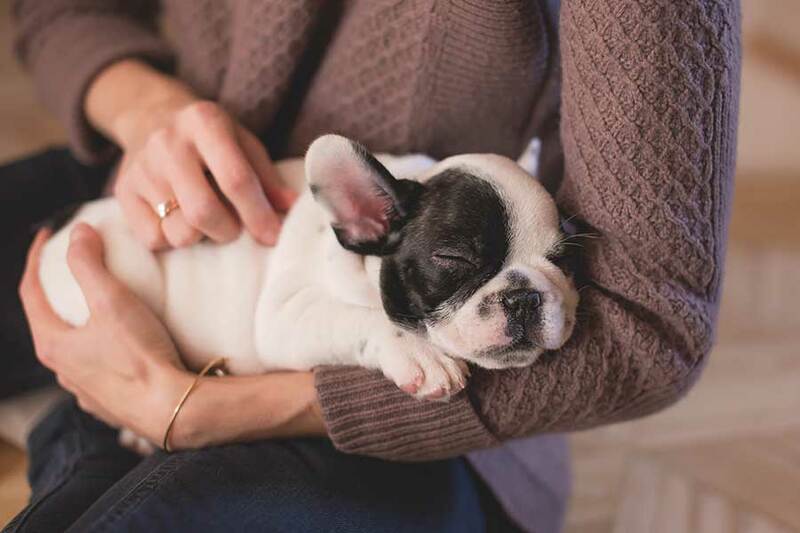 Your puppy must now adapt to a different routine of where he eats and exercises, first thing in the morning, and then spends a few hours alone in the house until someone returns to him. This routine will become his life for the following 6 weeks. It is simple, consistent, quiet and calm. If any of the above resonates with you, please don’t beat yourself up about it. Having a new puppy is hard work and, particularly if it is your first puppy, you will make mistakes and learn as you go along. Our aim is to help you put right the problems and help you to avoid repeating the mistakes. Something that we repeat continually is the importance of being consistent. So, go back to where you started, look at things from your puppy’s point of view and make sure that his feeding times, walks, training times and toilet activities are carried out or supervised by a responsible adult and that all members of the family are fully on board with your “puppy ground rules”. Be mindful of the amount of time you allow your children and their friends to play with the puppy and don’t be afraid to wade in and remove the puppy if you feel that the time limit has been reached. Then place your puppy in his safe place to go and sleep, undisturbed. He will thank you for it, and your life will be far less frenetic too! Also, although it can be difficult dealing with children and a puppy, do try to keep your eye out for the toilet signs and get the puppy into the garden so that you can praise and reward him, thereby remaining consistent with your toilet rules. We’ve produced an article about consistency called “Don’t Confuse Your Dog” which you will also find on our website. There you will find more tips on how to avoid being the unwitting creator of unwanted behavioural issues from your dog or puppy.